There is always a camera on Dez Bryant even when he isn’t playing. The conversation with Greg Hardy was quite animated. 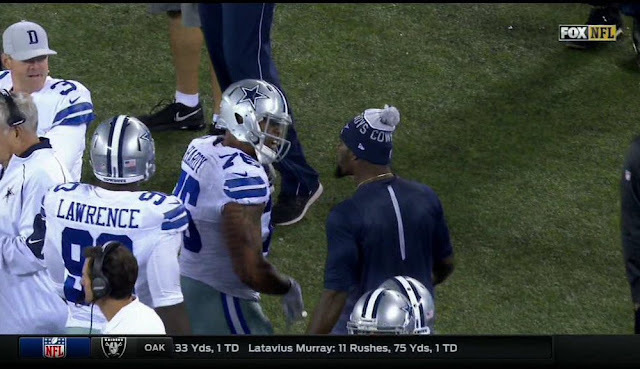 This wasn’t Dez’s fault, as it appeared he was trying to give encouragement and Hardy was acting like what you expect him to act like.